Greetings! 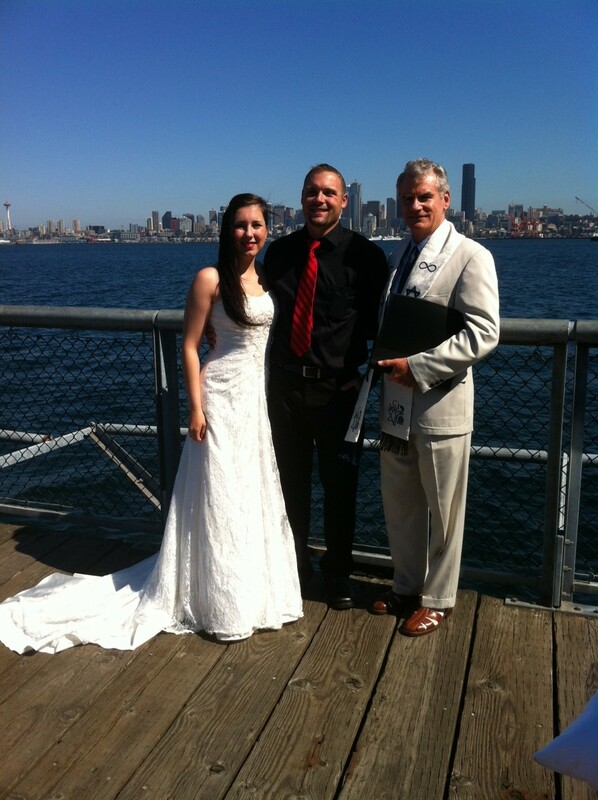 I’m The Wedding Gentleman-a Seattle Wedding Officiant, Life-Cycle Celebrant, & non-denominational Minister working with couples like you throughout Greater Seattle, to design, write, and officiate wedding ceremonies that celebrate and reflect your special relationship! I would be honored to work with you to create and officiate your personalized and memorable wedding ceremony here in the beautiful greater Seattle area. Your wedding ceremony should be personal, reflecting who you are as individuals and as a couple. I will take the time to understand your beliefs, your values, and what makes your bond unique! Wedding ceremony planning should be a collaborative process. To that end, as a Life-Cycle Celebrant with a solid background in the history of ritual, ceremony and the traditions of many cultures, beliefs and religions, I’ll guide you in choosing rituals, readings, symbols and music to fulfill your ideals and vision for your wedding. You have great freedom in the setting you choose for your wedding too! From beaches to backyards and hot air balloons, from garden settings to living rooms, from parks to churches or chapels, I’ll go wherever you choose to officiate your unique and personalized wedding. Designing our ceremony with me in a different state and Eric in another country was certainly a challenge -- but you pulled it off wonderfully!